Vanessa is an award winning marketing consultant, a social media and email strategist and a dynamic speaker who travels the country helping small businesses understand and leverage the power of email + social media to 10x their online visibility. A one-woman show, Vanessa built vanessa-cabrera.com to a thriving business in just 3 years! Her creative mind and out of the box thinking continues to drive her to the forefront as the go-to expert of email & social media marketing. 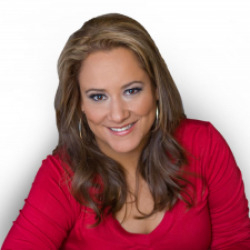 Ever the energetic, feisty and fun advocate for small business, Vanessa jams every one of her sessions with countless (NO FLUFF) tools, tips and advice in which attendees are able to implement immediately upon leaving any one of her seminars. Vanessa refers to herself as a singlemompreneur who Luvs2Run, she’s an avid Kickboxer, a bit of a Beer Buff. But her true passion and hustle comes from her 4 year old son, Matteo.